Random Roundup – Please, Don’t Leave! It seemed a little like whiplash last Friday to have stunningly horrible job numbers come out and then see articles on sweating new retention statistics, but we’re there, folks. For years we have bounced up and down from horrible hiring numbers to less horrible hiring numbers, and now we’ve finally reached the point where we’ve got to worry that the very best employees might be glancing sideways at the door. It doesn’t mean that they’ll go, there might not be good jobs to go to out there quite yet, but in some areas it’s starting to be a concern. Be honest, who do you feel you can’t live without and survive? Now’s the time to think about how to make it easy for them to stay. Are you worried about retention? Do you think it is too soon to be concerned, or is the timing right? But first, Tim Sackett provides the scenario of what it looks like to try and solve the retention problem. Some people don’t remember that particular problem and some are trying to forget. And, the numbers from the recent CareerBuilder survey…This gives the black and white on who could be leaving and why. Have you recently persueded an employee to stay that was thinking about leaving? Have you taken action on getting ready for the time when retention might be an issue? What have you done to solve or avoid it? 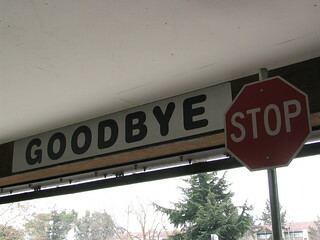 And, since we’re talking about leaving, one of my favorite bloggers is leaving and then is coming right back. Whew. Previous post: HR Poll: Do You Give Second Chances?